most of the epub eBooks purchased from Google Play, Kobo, or other ebooks stores are protected by Adobe DRM. In general, those DRM epub doesn’t support by iPad ibook, because of the DRM limitation. Here I’m very pleased to tell you that I’ve found the reason and the solution. And this is also the reason why I write this article. The more people know the news, the happier I would feel. Step 1: Download and read ePub books on Adobe Digital Editions. Download and install Adobe Digital Editions for Mac, and authorize your ADE with your Adobe ID. Then what’s the left work you have to do is just to make sure that these epub files can be opened on Adobe Digital Editions. If you failed to read your ePub eBooks on ADE, it would be difficult to remove the Adobe DRM. Please delete all your epub books under ADE folder(~/Documents/Digital Editions/) and redownload them with the newly authorized ADE. 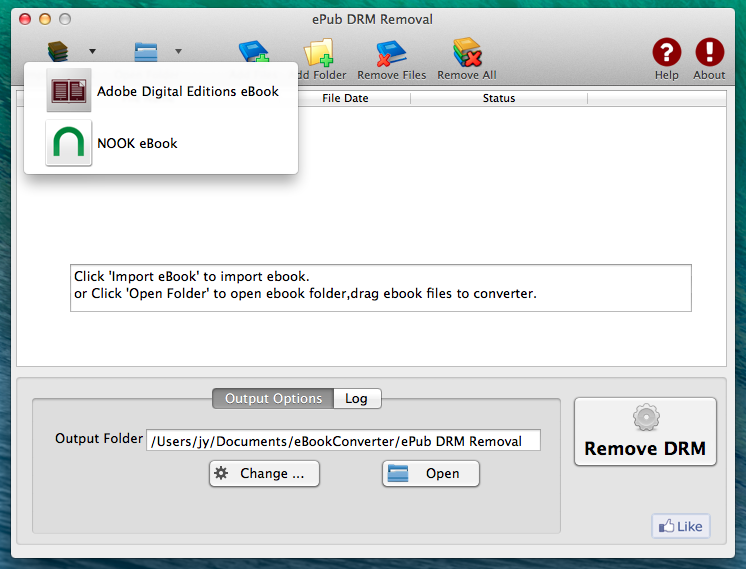 Step 2: Remove Adobe EPUB DRM with ePub DRM Removal. 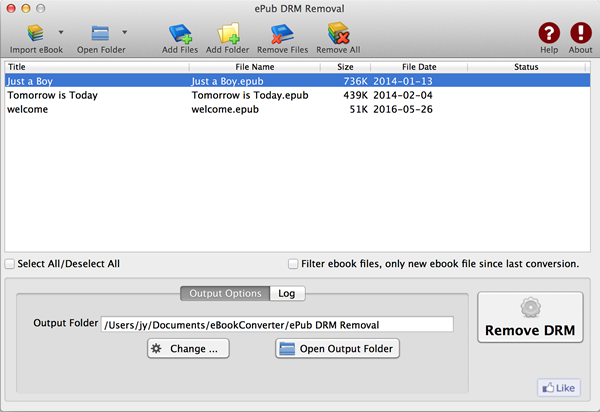 ePub DRM Removal Mac is tools to removal Adobe digital editions DRM, support epub purchased from Kindle, Nook, Google Play, Sony, Kobo and other online eBook stores, ePub download from public library. 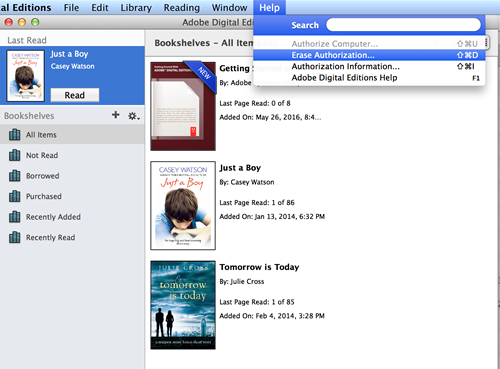 Run the software, click Import button on toolbar to import ebook saved in the default ADE path. Select ebook you want to convert, click Remove DRM button at bottom. 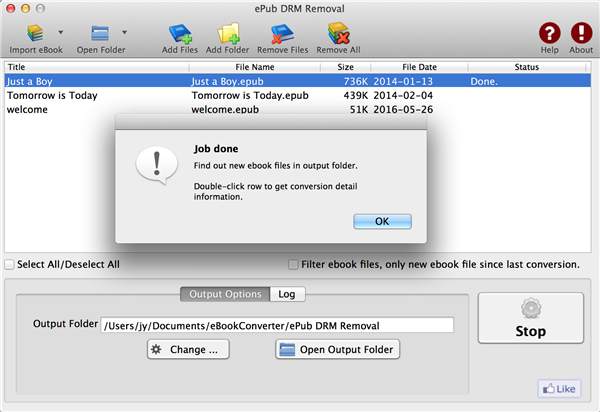 When job done, it show message that new non-drm epub saved in output folder, click “Open Output folder” to find them. you can transfer new epub file to iBook app in iTunes by usb cable.